In the face of tragedy, it often brings people closer together. People that don’t usually have anything in common can come together on reflect about the horrible events that have transpired and truly reflect on the fragility of life. The past couple of weeks have been a test of the human spirit, as senseless violence shook Boston to its core. We sat glued to our televisions, searching for answers and resolve to an event that made no more sense to us than Sandy Hook, Aurora, or Columbine. It’s eerily appropriate that this past Sunday’s episode of Mad Men dealt with how the characters reacted to the assassination of Martin Luther King Jr. It spoke to the human truth of facing a tragedy: What do you say? How are you supposed to feel? When is it okay to move on? The episode showed just how painful it can be, how confusing a time it is, and what a cathartic experience it may well prove. This is not foreign territory to Mad Men and its writers. In arguably the best episode of the series “The Grown Ups” (Season 3, Episode 12), the extended family of, then, Sterling-Cooper was faced with the JFK assassination. The episode is startlingly real, as the tragedy runs parallel to the wedding of Roger Sterling’s daughter. It’s always interesting to see the characters watch these events happen, along with the process of just wrapping their heads around it. A moment that always stuck out at me in the episode was just after Betty witnesses Jack Rube shoot Lee Harvey Oswald; she shoots straight up out of chair and utters a simple “What is going on?” It’s powerful in its honesty; it wasn’t a well thought out monologue. Just a simple reaction that perfectly encapsulates what it’s like to be a bystander watching things unfold onscreen. The difference between Season 3’s “The Grown Ups” and Sunday night’s “The Flood” basically comes down to race and how it has played out thus far on the show. It’s interesting to see how the white characters reacted the day after the shooting, especially towards Dawn, Don’s African-American secretary. 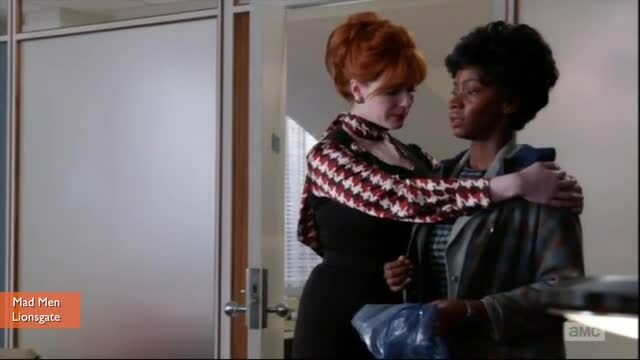 The assumptions that she wouldn’t come in, as if only she suffered a loss, right down to Joan’s awkward hug exemplifies a group of upper-class white characters that, while maybe not outwardly fearing change, are unable to grasp on to what the changes of the world mean in terms of their place. I keep going back to the events of Patriot’s Day when thinking about this episode and one scene in particular really left an impression on me. In order to escape the onslaught of news and sadness on television, Don takes his son Bobby to a matinee of the sci-fi classic Planet of the Apes. When the final scene ends, as the broken remains of the Statue of Liberty show the true face of humanity to Charlton Heston, Bobby is taken aback by the message of the film. The idea that humans blew themselves up in nuclear war astonishes him, and you can tell that it’s a moment that hits close to home given the tragic events. It’s easy to forget what something so terrible as an assassination can seem like to a child and the scene perfectly exemplifies how scary the world can be at times. Being a period piece, Mad Men has the benefit of weaving it’s own character drama with historical fact; an ability that few shows have been able to able to use to their advantage in the way that Mad Men does. We saw M*A*S*H* dip in and out of commentary on the horrors of war set against the backdrop of the Korean War, but war is horrible no matter what era. And in reality, M*A*S*H* used the opportunity to talk about it more in the circumstances that were going on with the Vietnam War. It also showed a side to war that the average American didn’t see, which is special in its own way, but for the families living at home tuning in, a war zone was still just something they tuned into. 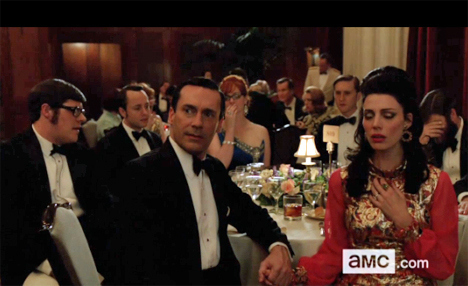 When Mad Men deals with tragedies, it’s a stark mirror held up to the average television viewer. It’s some of the most powerful fictional television and when Mad Men gets it right, it proves to be one of the most culturally significant dramas of all-time.